I’ve been getting a lot of requests recently about what to do when visiting Oaxaca. I love being able to share my experiences because I want people to love Oaxaca as much as I do. Please note that this is by no means a comprehensive list – I barely scratch the surface. Plain yogurt with banana and honey in the morning. Plenty of lime and chili through out the day. They are common condiments, use them because they make things taste better and there’s some evidence that they may help stave off digestive distress. At least one mezcal every night. If it smells bad (as in rotten) don’t eat it. If it has a peel on it, or is fruit on the street, squeeze lime over it. If you can’t see a water source, don’t eat or drink it. And of course, keep some Pepto Bismol on hand, or, charcoal tablets. It is more for psychological purposes than actual need. If I could spend my days just perusing the markets in Oaxaca I would. They are chaotic and colorful and odiferous and gorgeous. Abastos is the main market in the city of Oaxaca. Go on Tuesdays or Fridays since there is lots of local produce on the perimeter. In general, buy from the ladies on the floor or the ones without permanent stalls – this will be the most local, seasonal and fresh stuff. Abastos is huge and sprawling and totally overwhelming, and even more so on Saturday, the main market day. Eat at the market stalls – the food is good and it is a chance to try things you never would (like chapulines, the roasted grasshoppers.) Be aware of pick-pockets. It is in a semi crappy part of town so don’t go after dark. Benito Juarez/20 de Noviembre is the downtown market. Any day is a good day there, and a visit to the carniceria is a must do experience. It’s smoky and the women behind the counters will vie for your attention. Just pick one and go with it. First, pick your meat: There is generally the local small chorizo sausages which are no where near as spicy as those found in a standard taqueria in the United Space, a spiced carne asada and a few other things. Second, pick your sides. You can choose from salsas, onions, peppers, avocado, radishes, cucumber and nopales to name just a few. Then you grab a table and wait for your food. Did I mention, it is a must do. This exists in every market so just DO IT. Mercado la Merced is a wonderful neighborhood market with terrific food stands and some of the best chiliquiles you’ll find in Mexico. There are also juice/smoothie stalls that can whip up some great combinations in addition to the traditional ones on the menu. And if you want to walk off your your big breakfast you are in luck because you are right by the very old and interesting neighborhood of Jalatlaco. 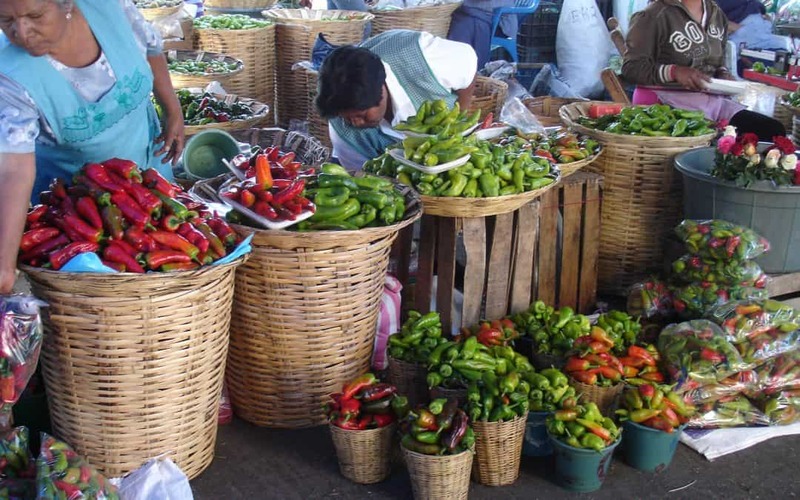 Other favorite markets include the town of Tlacolula on Sunday (see this article for more info), Etla on Wednesday, Zaachila on Thursday and Ocotlan on Friday. These markets are very local and indigenous and you will have a chance to hear the melodic language of Zapotec. Restaurants are everywhere in Oaxaca. All serve a comida corrida in the afternoon – usually 2-5pm. They are 3-4 courses and cost anywhere from 25-100 pesos depending on the restaurant. 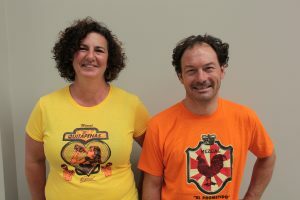 Good restaurants on the higher end – Origen, Criollo, Los Danzantes and Casa Oaxaca; on the medium end – Quince Letras, La Olla, El Tendajon Agaveria, Tierra del Sol, Archivo del Maguey for Mixtecan cuisine and mezcal, and Zandunga or Son Istmeño (Isthmus style food – good and different.) These are in all the guidebooks. Sabina Sabe has delicious cocktails, Biznaga is a staple and good for micheladas and appetizers. Cabuche is great for breakfast and Boulenc has delicious bread, pastries and pizza. A really interesting place that focuses on heirloom varieties of maiz is Itanoni – it is in Colonia Reforma, a neighborhood just north of the centro. Fun nightlife stuff – Candela, the salsa club, is oft mentioned in the guide books and is total gringolandia. Another place is El Olivo. They have a restaurant downstairs, and a bar/terrace upstairs. Gozobi has a bar with a great roof terrace. It is on the corner of Garcia Virgil and Allende. Casa Istanbul has a very hip scene and a lovely courtyard, and around the corner are a couple of local spots that can be fun, though young. A new spot is the hostel with bar Ofrenda on Garcia Virgil. There are a host of cervecerias that have opened – La Santisima is one of the first and The Zocolo is a great place to drink and watch the people go by. Any of the places are fine. Finally there is Txalaparta, which has pretty much anything you could want under one roof – live music, a good cocktail bar, a mezcaleria and rooftop terrace. Plus, they have food and terrific french fries. The crowd is mixed, though predominantly local. 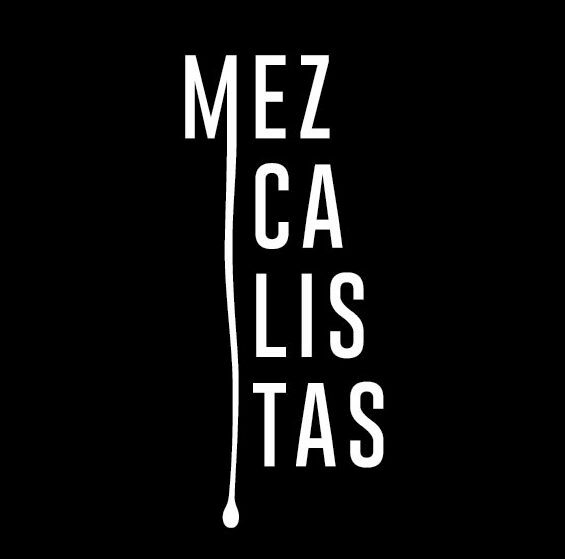 So many mezcalerias have opened since I first wrote this post. 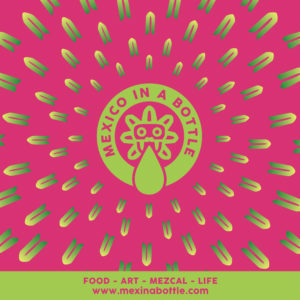 Here is our map and listing of where to drink mezcal in Oaxaca. In Situ is the cathedral of mezcal and you would be hard pressed to find anywhere in the world that could match their selection. They actually educate about mezcal in addition to doing the tastings. There is also CUISH, Mezcaloteca, Los Amantes and Mezcalogia. For you art people, here are my favorite museums – Museo de Textiles, Museo Alvaro Brava (photos), Cultural Center at Santo Domingo, CASA in San Agustin, San Pablo Cultural Center, and the stamp museum. The Contemporary Art Museum is also fantastic. What really sets Oaxaca apart are the number of galleries and local stores that feature beautiful crafts, both traditional and modern.There is so much good art to be had both inside museums and on the street.